New Era manufactures and supplies all of the official on-field pro-model caps worn by all thirty Major League teams. 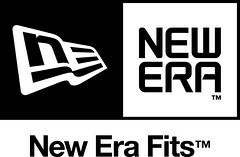 The Cardboard Connection recently posted the top ten caps sold by New Era. It's an interesting list and well worth taking a look at here. (1) New York Yankees. The Yankees first wore a version of this style in 1913, and have worn it at home and on the road since 1922. The Yankees cap is a global brand, perhaps a better known icon than the MLB logo itself. (2) Atlanta Braves. While traveling in Holland in 2006, I saw many local Dutch guys wearing Braves cap. I couldn’t figure out the connection. I finally stopped a guy – about 20 years old – wearing Braves cap. I told him I was from the U.S., and why was he wearing a Braves cap? He looked kind of puzzled and said, “Braves? A is for Amsterdam!”. Which is to suggest that all of these sales are Dutch driven. (3) Boston Red Sox. Like the Yankees, this is pure baseball cap goodness. The Red Sox started with a two-color felt version of this cap in the 1930s, and switched to the embroidered B in the 1950s. The club switched to a red crown in the 1970s, but returned to this one in 1979. (4) Cincinnati Reds. The Reds have made this wishbone-C their baseball own. Yes, the Cubs, and Cleveland have worn versions of the wishbone-C since World War II. But this now belongs to the Reds. Now if only they would just drop the black, and bring back one of the most clean and straight-forward caps in baseball. (5) Los Angeles Dodgers. There have been tweaks to the boldness of the letter-strokes, but this cap traces its origin to the club’s first year in 1958. (6) Chicago White Sox. The White Sox introduced this cap in September 1990, ahead of their move into New Comiskey in 1991. The White Sox were the lone team at the time to claim black as their color. They applied black to a classic club uniform template. I would be happy if the White Sox never change their cap again. This is perfect for the club. (7) Pittsburgh Pirates. The Pirates changed their colors from navy blue and red, to black and gold in 1948. Black and gold are the colors of the city of Pittsburgh’s flag. The Steelers wear black and gold. The Penguins wear black and gold. The Pirates wore this cap until 1970, and then returned to it in 1987 and have worn it since. (8) Philadelphia Phillies. The Phillies have won the National League East since 2007, and have sold out more than 200 straight games. I wear this cap myself. Phillies fans buy a lot of merchandise. (9) San Francisco Giants. San Francisco has worn only orange and black, and have worn an orange SF on a black cap, since their first season in 1958. It’s a beautiful and classic cap. And winning the World Series doesn’t hurt. (10) St. Louis Cardinals. The Cardinals win the World Series every few years, play in front of adoring fans, and wear one of the top three unis in the National League. The 76ers fever is down: A little bit of disappointment in Philadelphia today after hosting a conference semi-final playoff game for the first time since 2003 last night, only to watch the veteran Celtics play tremendous defense to win handily by 16 points and take a 2-1 lead in the series. That being said, there's the opportunity to tie things up Friday night at the Wells Fargo Center, with another playoff, sell-out crowd expected, and fans in Center City Philly are stopping by the store to talk a little hoops and check out the "Junk Food T's," Adidas track jackets and snapback caps (pictured above), and Banner 47 snapbacks as well. A Reminder: For more news about Pro League Authentics and musings on the world of sports uniforms, Like our Facebook page and follow us @PLAphilly. Fortunately, you won’t have to deal with it.The Phils would have had an easier time with the Sox. Their sttnriag staff is in disarray (was) and they don’t run as well as Tampa. The key would have been getting to the ninth inning with a lead.Tampa’s sttnriag pitching is more consistent and they’re faster and their hitters are as good as the Phils.So, let the dust collect on that Red Sox cap.Just so you know, they’re coming back to the ballpark next year for 3 games.